When it comes to the origins of 90 ball bingo, there have been many variations in history however the most reliable version is that bingo could be traced back in the 16th century in Italy. Taken from a national lottery played every Saturday in Italy, bingo has travelled through France, Germany and US before finally arriving to England after a New York toy salesman named Edwin Lowe renamed the game to call it ‘Bingo’. It is believed that the 90 ball game in itself was introduced in France where it was called ‘Le Lotto’. Back in the late 1770s, the playing card that was used for this game had three horizontal rows and nine vertical columns of boxes. Inside of every horizontal row were five boxes that included numbers and four blanks that were randomly set up. The initial 90 ball games played in France had single Lotto cards thus there wasn’t 2 similar cards. Before actually being played online, the 90 ball bingo game was mostly played in churches, which was a social event for fundraising. When arriving in England, the 90 bingo game was given the name Tombola, an attempt to cut off the game from gambling whereby prizes were offered instead of cash. It was only in the 1960s that bingo clubs were formed where 90 bingo games were played. Now known as ‘bingo halls’; many have been established over the United Kingdom and the United States. The 90 Ball ticket is a 27 square grid that’s made up of nine vertical and three horizontal lines where each row is made up of five numbers and four blanks. The first column contains numbers one through to nine, second column has numbers ten through to nineteen and third holds numbers twenty through to twenty-nine, and so forth. The 90 ball card contains 15 randomly chosen numbers in the squares. Whether be it online or at a bingo hall, there will be a caller which will take out the numbers and your aim is to mark the called numbers on your bingo card. 90 Ball Bingo game-plays are quite easy since the aim is to cover the number found on the cards to win 1 line by covering all numbers found on one horizontal line, 2 lines by crossing off two horizontal lines, full house by cover the whole lot of numbers found on the card. With today’s innovation occurring at a fast rate, online bingo games have made it easier for many since you won’t require having your eyes down to watch the numbers and ears on guard to listen to the called out numbers. While being online, you have the option to either mark your cards yourself else let the system do it automatically for you where after the winnings are credited automatically. While it is true that playing at a bingo hall and online are two different worlds, it is much easier to play online since you are able to purchase much more tickets than at a land based as it’s rather difficult to keep your eyes on a whole bunch of cards to watch out for the called numbers to mark them off. 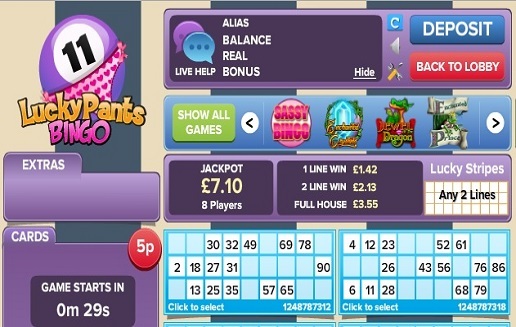 An exciting game that has gone through a lot of changes, the 90 bingo game is now considered as an entertainment for many, both on online bingo sites and at a bingo hall/club. For all information on bingo bonuses, bingo deposit offers, check Online Bingo Reviews regularly.